How Should I Use TIGI Bed Head Dumb Blonde Purple Toning Shampoo? 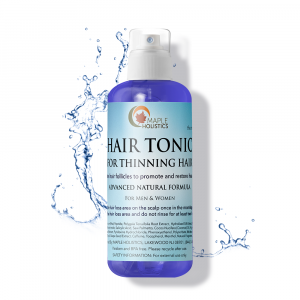 Keeping our hair looking fabulous takes a lot of effort, and the fight against brassiness specifically is an unending one, especially in the summer time. So many things are working against your locks, including the sunshine, beach days, swimming pool, not to mention the minerals from the water in your shower (assuming you have hard water). You’ll learn how to fix that problem here in our Tigi Bed Head Dumb Blonde Purple Toning Shampoo Review. Blonde color oxidizes easily, turning into a rather cartoonish yellow hue that isn’t all that attractive. Brassiness is most noticeable on blondes (natural or otherwise), but redheads certainly deal with this issue, as do brunettes and those with gray hair. I generally bleach my hair, though this time I’ve gone full-throttle and I’m now sporting a really cute platinum blonde do. When you walk out of the salon, or just dyed it at home, your freshly blonde hair can look great, but the color will fade fairly quickly. This happens because bleach treatments leave your hair more porous, which leads to faster fading. 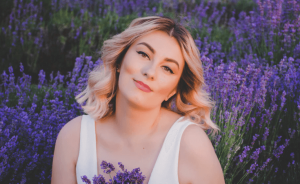 If you want to maintain that freshly dyed look for your tresses, and lengthen the time between salon visits or hair dying, your blonde hair needs to be toned regularly, and a purple shampoo is a great and simple way to do this. 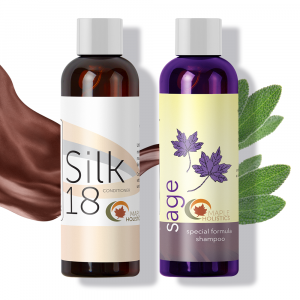 A high-quality purple shampoo will neutralize the brassiness and soften the texture of your hair, resulting in a bright, natural-looking blonde mane. In a nutshell, purple (violet) is the chromatic opposite of yellow on the color wheel, which is why it cools the gold/brass tones down. 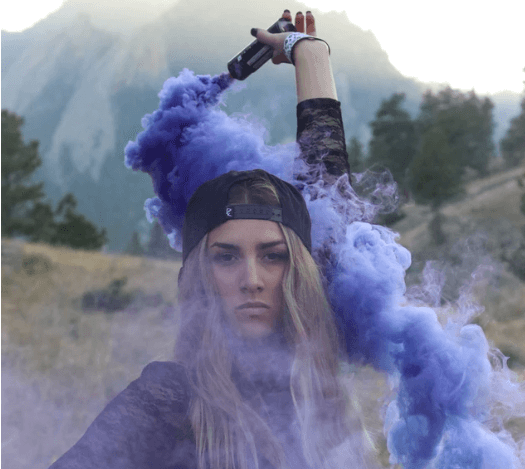 When washing your hair with a purple toner shampoo, the follicles absorb a small amount of the pigment, which cancels out the unsightly yellow undertones you’re targeting. If you have platinum blonde hair like me, you’re going to notice even the smallest hint of cartoonish yellow or faded orange-y color, even if others haven’t noticed it yet. This will drive you mad unless you have a handy bottle of purple around to counteract this problem, leaving you with the brighter and lighter hair color you want. 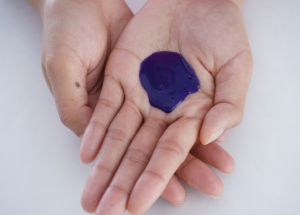 High-quality purple shampoos don’t fool around and are really pigmented, so you can expect to see your shower water turning a lovely shade of purplish-blue as you rinse the product out of your hair. You really do not want a purple shampoo that is very light or even clear, as it will not get the job done properly. 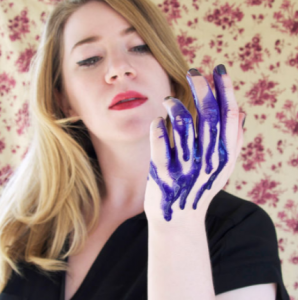 Some people even try DIY purple shampoo, which isn’t always easy to get just right. For those who don’t have the time, patience or desire to make their own purple shampoo, and want a consistent product that not only works but smells great- Look no further than Tigi. Purple shampoo out of the bottle. There are a number of purple shampoos to choose from, and while Tigi’s may not be the cheapest or the highest rated, I find that it works great for me, lathers pretty well, and I love the scent – not overpowering, and pleasantly tropical. TIGI’s Bed Head Dumb Blonde Purple Toning Shampoo is formulated specifically for chemically treated hair like mine, working to reduce frizz, balance out the pH and restore the color your hair was initially after being dyed/highlighted. Honestly, I’m not super fond of the name, but I take it with the good humor I know it was intended. This purple shampoo is a smart choice when you’re trying to remove those unsightly yellow and brassy-hued stains from your hair. The purple pigment that it is formulated with is meant to maintain your color and promote a vibrant smooth shine. I am not a natural blonde, and I first heard about this product a couple of years ago when my hair dresser suggested I try it to keep my newly colored blonde hair looking gorgeous until my next salon visit. I usually get my hair dyed/highlighted roughly every 8 weeks, and this saves me the expense and trouble of needing a quick re-touch (or dealing with the unflattering consequences of a faded look). I bought it, tried it out, and it really did make my hair look nicer, even after only one shower. I now use it around three weeks after getting my hair colored or highlighted, because that seems to be when my hair begins to fade and look somewhat dull, but in the summer this might happen even quicker. Though Bed Head is more expensive than most brands, you really get what you pay for, and since you don’t need a lot of this shampoo on your hair, one bottle really lasts a while, so it is well worth the cost in my opinion. I know that some women have complained that it causes dryness, but I’ve never found that to be true. I love how it makes my hair look radiant, healthy and manageable. 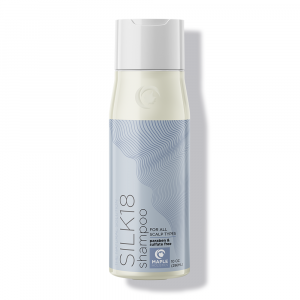 It leaves my hair feeling clean and soft, with a light fragrance that pleasantly remains in my hair even hours afterward! It’s a fragrance that also happens to drive my husband wild, which is always a plus. Start using the purple shampoo about 2-3 weeks (or whenever you notice the color fading) after having your hair color treated or highlighted. Since your hair is most porous right after being bleached, if you use it right away – it may, and probably will, become too ashy/purple, and you want to avoid that unless that look appeals to you. Use as you would your regular shampoo, massaging it into your roots first and then running the shampoo through to the ends. Depending on the color it needs to neutralize, leave it in for anywhere from a minute to ten minutes or so. This is a concentrated product and you don’t want to overdo it and sport purplish tresses (don’t worry, it washes out). I’ll touch more on this topic in the extra tips provided below. Remember, the ends/tips of your hair are more porous than the new growth roots, which means they grab and hold onto color faster. This is why you should always apply hair color as well as your toning shampoo/conditioner to the roots first. Bed Head purple shampoo is meant to be used on these following sections at different times. Roots: This is the newest, freshest hair so it takes a bit more time for the toner to perform. Mid-lengths: This part of the hair is a little more porous, it has had time to be exposed to natural and unnatural elements such as sun exposure, heat styling, etc. so the hair shaft is a bit more open than your roots to receiving color. Ends/tips: The most porous section of the hair, the ends have been through the most exposure. They absorb color very easily so they don’t need as much time with the product as the roots do. When you wash your hair out, rinse thoroughly with cold water, which will cause the hair shaft to close, sealing in the color and leaving it smooth and protected. Afterwards, condition your hair with any good conditioner or the Dumb Blonde Reconstructor conditioner if your hair needs to be fortified with Vitamin E and proteins. You could finish with, or use instead of the conditioner, the Dumb Blonde Toning Protection Spray, which uses Protein Booster Technology to help repair damaged hair while the purple toner continues help ward off brassy tones. The spray works as a leave in conditioner, de-tangling, smoothing and adding shine to your mane, but I never needed to use more than just the shampoo. Using all three might be overkill, unless you desperately need it. I’ll touch on this more in the tips below. 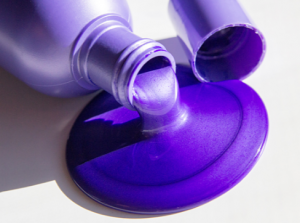 Do Not Overuse – Purple shampoos aren’t intended for everyday use. Utilize them once a week, and then adjust your usage from there. If you find that your hair is still brassy, start using it every other time you shampoo. If you see it starting to get just a touch too ashy or purple tinged, slow your usage. Consider these shampoos as more of a maintenance product; a cheaper alternative to going to the salon for touch ups, and more foolproof than do-it-yourself toner kits. 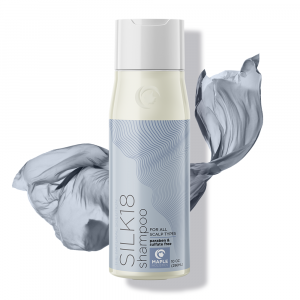 This shampoo, like most color toning shampoos, is meant to be used alternating with your everyday shampoo. This will help you avoid the possibility of drastically changing your hair color and ensures a more natural shade of blonde. Avoid Prolonged Exposure – This is particularly important for those who have platinum and very light blonde hair. Because purple toning shampoo is highly pigmented, it can cause lighter shades to switch colors much faster, so be sure not to leave it in too long or use it too often. Also bleached hair is more porous and soaks up color that much faster, so do your best to rinse the shampoo out thoroughly and quickly after application. 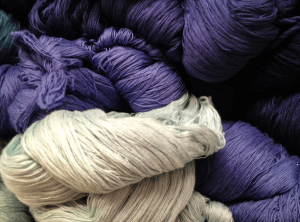 This helps to reduce the chances of ending up with the equally unflattering ashy or purplish tones. 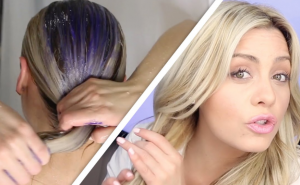 If your tresses get really icky yellow, let the purple shampoo sit on for 5 minutes. If you’re just dealing with a minimal amount of brassiness, a minute or two should suffice. Condition After Every Use –This product, though better than some, is still formulated with some ingredients that could sap your hair of important moisture, so to ensure your hair receives the total package of care it needs – use conditioner after every wash. This is good advice even if it weren’t a purple shampoo. There are some purple toning conditioners that go with purple shampoos, but using these with lighter hair colors runs the same risk as when you leave in the shampoo too long: it can turn your hair purple, so be careful. I personally am not a fan of purple conditioners. I would rather not tone my hair twice. TIGI’s Bed Head Dumb Blonde Purple Toning Shampoo followed by a good conditioner is more than enough to make your hair look and feel great. If You Overdid It – I know you might be worried about this after I’ve mentioned it a few times in the article, but if you overdo the use of Tigi’s Dumb Blonde Purple Toning Shampoo, you really do not need to freak out, as there is an easy solution; just get back into the shower and vigorously re-wash your hair with your regular shampoo. This will wash away any extra pigment and return your hair to a more natural look. Repeat if needed. See, I told you there was nothing to worry about. Scalp Special Needs – If you regularly use a medicated scalp shampoo or just a shampoo that you can’t live without, it isn’t an issue here, as you can always shampoo twice – once using your regular shampoo to get your scalp taken care of or really clean, and then once with Tigi’s Dumb Blonde Purple Toning Shampoo to tone it back to the color you want. Remember, you’re not using this shampoo every day, so it really shouldn’t present much of a problem to your hair care routine. If you find yourself frustrated from those unwanted brassy tones in your hair, a product like TIGI Bed Head’s Dumb Blonde Purple Toning Shampoo can be a real life saver. Using this purple shampoo as occasional hair care maintenance at home between color appointments, will extend the life of your color treatment. By extending the life of your color, your trips to the salon (or self-coloring) become less frequent, saving you time and money. Plus, this just really helps keep your hair looking gorgeous and healthy. What woman doesn’t want that? Get Great Deals On Purple Shampoo! I hope this review has helped you find a product that will restore the lively luster to your locks. 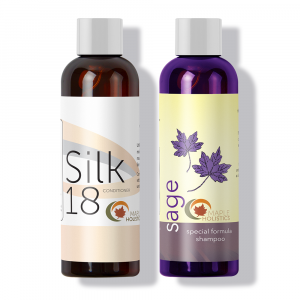 If you want to find out about other excellent purple shampoos, check out this article – Top-5 Purple Shampoos. There are lots of different purple shampoos available now – from John Frieda, to Naissant, to Clairol, to Shimmer Lights – try them all to see which one will work best for you!